Harrison West has seen a number of projects in and surrounding the neighborhood in recent years that may have helped dig up a new issue for neighbors. Specifically, rats. Neighbors on West Third Avenue began seeing the rodents earlier this summer. Now, it appears that the problem has spread south to Bradley Street, West First Avenue and Harrison Park Place. The cause of the recent increase has not been officially confirmed, but many believe that recent projects such as the West Fifth Avenue Dam removal and the Third Avenue and Edgehill Road improvements have disturbed the rodents’ nests, causing the pests to relocate into parts of Harrison West and the areas. Neighbors throughout the western portion of Harrison West are now reporting rat sightings. 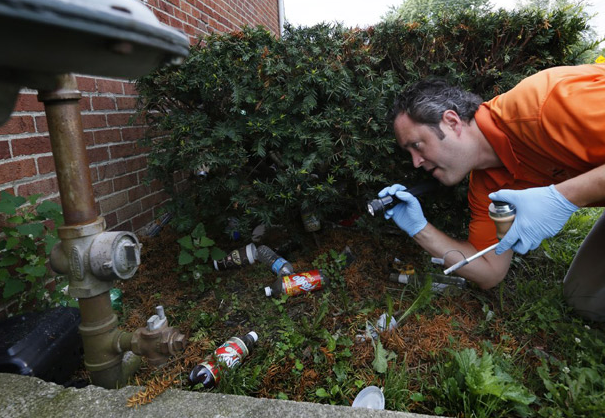 The city of Columbus allocated no money in its 2014 budget to relaunch its successful rat-control program, but city officials said they are managing the complaints and planning an education program to teach residents about the rodents. Complaints about the problem and reports of rodent sightings in Harrison West and Clintonville began surfacing in large numbers only after the city finalized its budget earlier this summer. The Clintonville area commission has asked the city to study the extent of the problem and consider bringing back the rat-control program. District 8 representative Kristopher Keller proposed, and his colleagues concurred, passing a resolution that requests Columbus officials undertake a study of the rat population to determine if there is a problem, and if so, to advise people how to “mitigate and control” that population, as well as consider bringing back the city program to tamp down the critters. Mayor Michael Coleman will present his proposed 2014 budget in November. Many Harrison West residents have taken it upon themselves to help curb the rodent infestation problem at their homes and have shared information with their neighbors. Companies like Ohio Exterminating can provide bait boxes and dust rat holes or offer other strategies to control the rat population. Neighbors should keep an eye out for rats in their yards and alleys and report issues directly to the city.